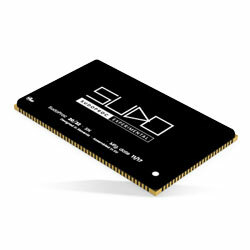 Mouser has entered into a distribution agreement with Sudo Systems. As part of the agreement, the company becomes an authorised distributor of Sudo Systems’ groundbreaking SudoProc SoM. This innovative, high-performance module drastically decreases development time and expedites time to market for a mixture of IoT applications, including industrial tablets, virtual reality devices, multimedia devices, medical equipment, robotics, infotainment and digital signage, and autonomous vehicles.